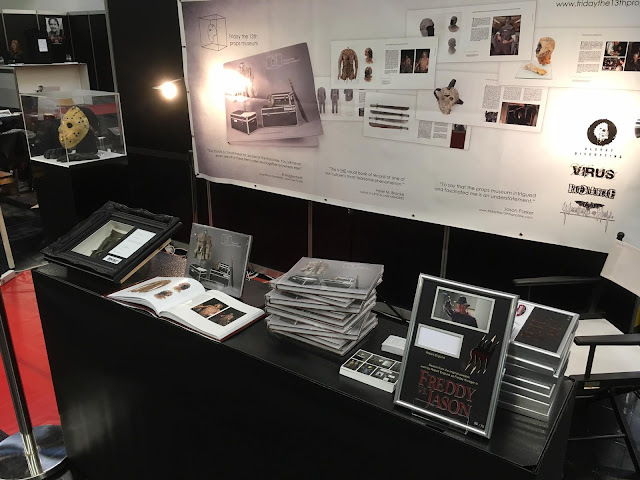 Mario Kirner was recently at Weekend of Hell in Dortumund, Germany to promote the impending release of his coffee table book Friday the 13th Props Museum: The Book. I have a copy on order and I absolutely cannot wait to receive it. Mario owns the largest assembly of screen-used Friday the 13th props in the world and has never before released high-definition photos of his pieces, so this is going to be an incredible coup for fans. 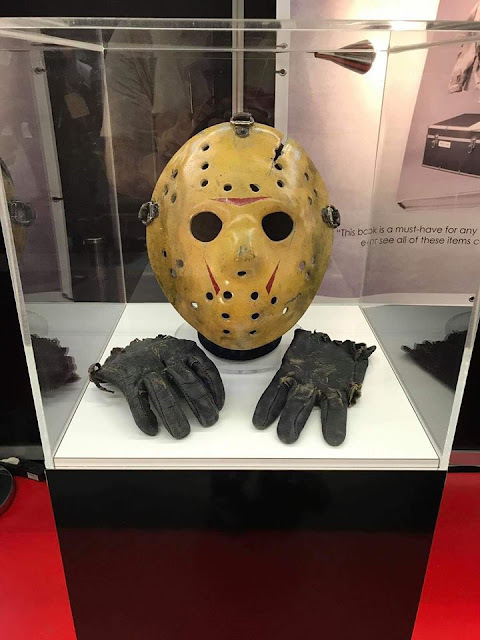 He brought along the original hero mask from part 8 too... and here's one of the best photos ever taken of it, along with the original gloves. Mario bought these straight from Kane Hodder some years back, who was gifted the pieces after production wrapped.